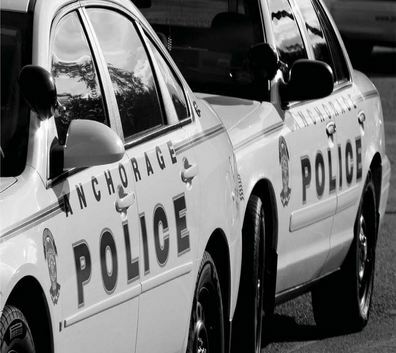 A shooting early Tuesday morning killed two people in an East Anchorage four-plex. It was the second fatal incident in less than a week. The Anchorage Police Department wrote in a release that at around 3:30am shots from a firearm left 27-year-old Christian Haynes dead. Bullets also struck a 23-year-old female inside the building who police have not yet identified. She was brought to a hospital and pronounced dead shortly afterwards. APD Spokesperson Jennifer Castro says that while no suspects have yet been taken into custody, detectives have spoken with witnesses. Castro declined to comment on whether the shots were fired inside the residence, saying the Department does not want to release details that could help a perpetrator avoid arrest. The incident comes within a day of police taking a 14-year-old into custody in connection with the shooting death at a Midtown parking-lot at the corner of Tudor and Lake Otis. Since the start of the year, APD has issued releases on eight gun-related assaults. The Department’s crime analyst is in the process of investigating whether or not gun violence is on the rise. “We know that there’s been a lot of violent crime happening in our community lately, it’s certainly a concern of our citizens,” Castro explained. The department asks witnesses, or anyone with information to call officials at 561-7867.